19 year old Sean hasn’t seen his father since he was twelve. His mother has never really explained why. An argument with her leads to his moving to the other side of the country. Martin, his father, has his life thrown into turmoil when the son he hasn’t seen in nearly eight years strolls back into his life immediately killing his dog and hospitalising his step-daughter. The one thing they have in common is the friendship of a girl called Rhiannon. Over the course of one summer Sean experiences sexual awakenings from all angles, discovers the fleeting nature of friendship and learns to cope with rejection. Martin, meanwhile, struggles to reconnect with Sean while trying to delicately turn down the increasingly inappropriate advances of a girl he sees as a surrogate daughter and keep a struggling marriage alive. In an ideal world I would do all of my writing sitting in my garden on a sunny afternoon. In reality, because I live in Devon and have a day job, I would only be able to write for four days a year if I stuck to this so I have do most of it sitting in my living room as I bat cats from the laptop keyboard in the dark hours of the morning. Not intentionally, I like to wipe the space I am going to sit in clear of animals, and any residue that they have left there, then try very hard not to look at social media when I am supposed to be working. My eventual ritual is to go somewhere where the wifi signal is dead so that I can’t be distracted and try not to play pacman. 4g smartphone connections are the work of the devil. No, unless you count the cold cups of tea and coffee that mount up around me as I invariably forget them. On those rare sunny afternoons when I get to write outside, I have to leave the ice-cold cider as a treat for when I hit my word-count. I tend to be too focused on the screen/keys to remember if there is anything around to drink or eat. Changeable, I have spent the last thirty years saying 1984, because it is unquestionably the book that changed my whole way of thinking when I was 12 and is different every time I read it. But, I love Terry Pratchett, and I think Nightwatch and Monstrous Regiment are every bit as important and clever and life-changing, and since Tom Cox gave me a copy of Rob Cowen’s extraordinary Uncommon Ground a year or two ago I have been unable to stop thinking about it. Having written three books in very different styles, and being in the midst of a fourth in yet another, I’d quite like to stick to the same one for a bit. So far I’ve done Romantic Comedy, Dark Comedy, a not-quite-as-funny Romance and I’m currently writing Folk Horror. Book number five will be a return to Romantic Comedy, and a sequel to my first novel, Weekend Rockstars. No. (This is a lie, told in order to protect me from vengeful friends). Most of my characters are taken from aspects of my own personality, but there are bits of people I know interwoven in everybody I’ve created, along with blatant theft from other writer’s characters. The most enjoyable part of hearing about my friends’ and family’s theories as to who is based on who is just how wrong they manage to get it. I seem to be able to steal bits of their character that nobody else has noticed, which is lucky. I used to, but I have the rare ability to lose pens from any pocket I manage to secure them to. And notebooks can leap from pockets/get soaked in Devon weather to be rendered unreadable. And, given that my handwriting is rarely legible, and most of my good ideas come when I am too drunk to write legibly at all, the advent of the smartphone which doubles as a notebook and backs itself up to my PC was the best thing to happen to me. I like all the genres, even chick-lit (do they still call it that?) although I have to admit I tend to ignore Young Adult fiction, but that’s because I don’t have time to read all the books and it is not aimed at me, or for me – The Hunger Games was good though wasn’t it? Celebrity Biography also leaves me cold, unless it’s the Jerry Garcia biography I read last year, which was excellent. So, yes, I do like all the genres. Somebody who could put up with me telling them they are wrong, or Neil Gaiman, mostly just so I could spend time with Neil Gaiman, he seems fun. I am not by nature a collaborator – being an antisocial grump, so it would be a little like pulling teeth: painful, difficult, but ultimately fulfilling and worthwhile. I’m not really a traveller. Rather like Jules Verne I like it where I am, and mostly just explore the area within a fifty mile radius of where I live (I’ve been here for 15 years and still haven’t seen all of it) but, if I had to I would quite like to travel to the past, since it is a foreign country, and they do things differently there. I can only apologise for the smartarse nature of this reply, I should probably say India or Thailand or somewhere, but honestly, the only place I really want to research is San Francisco in the summer of 1967, and I can’t go there. Thank you, Dave Holwill and RachelsRandomResources. 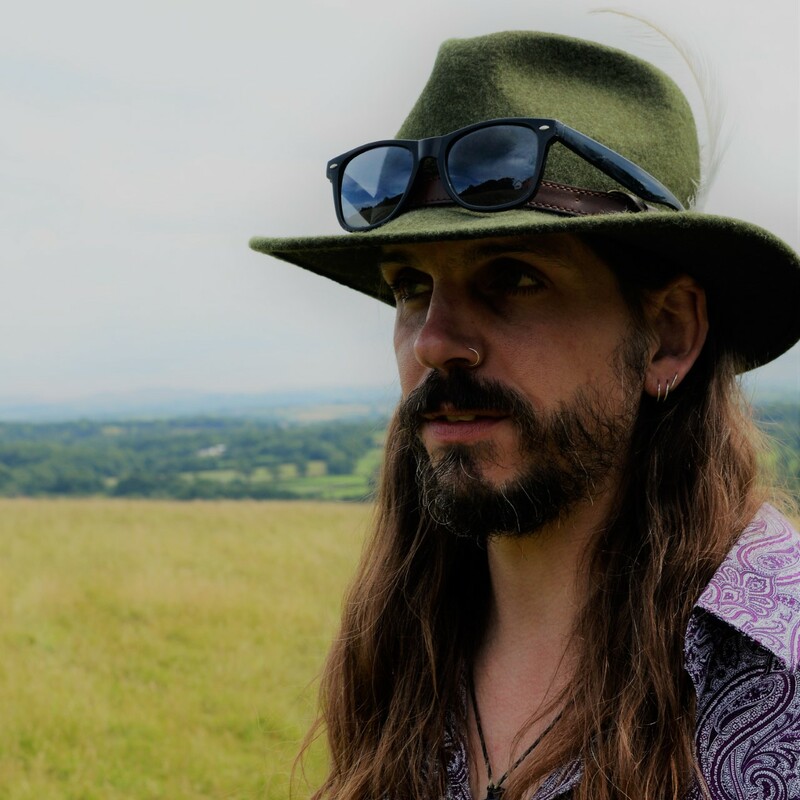 Dave Holwill was born in Guildford in 1977 and quickly decided that he preferred the Westcountry – moving to Devon in 1983 (with some input from his parents). After an expensive (and possibly wasted) education there, he has worked variously as a postman, a framer, and a print department manager (though if you are the only person in the department then can you really be called a manager?) all whilst continuing to play in every kind of band imaginable on most instruments you can think of. 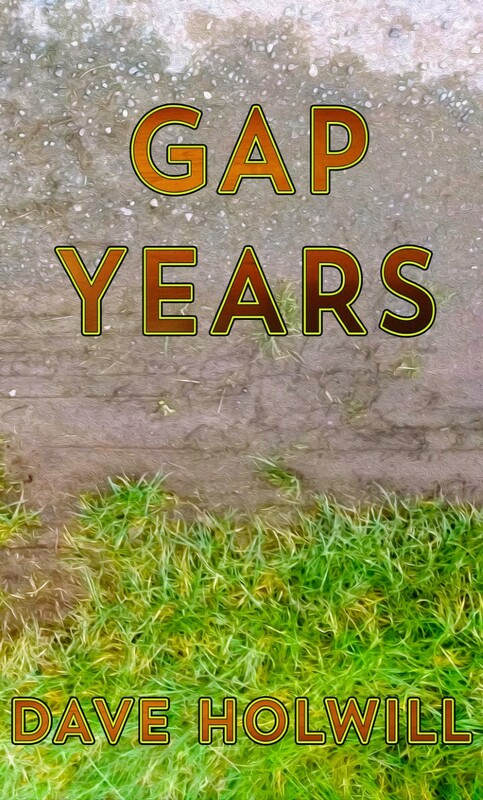 Gap Years is his third novel – following on the heels of Weekend Rockstars and The Craft Room, and he is currently working on the fourth (a folk horror set in his native mid-Devon) and a sequel to Weekend Rockstars.